Many friends and fellow activists have fallen in the struggle for the Earth, for their land-base and for the liberation of animals. In the last three decades we’ve seen casualties throughout the world. Last year  was a sad milestone for Earth First!, as it saw the passing of both Arne Naess (January 12), the Norwegian philosopher activist who introduced the world to the concept of deep ecology in his seminal lecture, and Bill Devall (June 26), environmental activist and teacher, who brought deep ecology to Earth First!. The following list of names and obituaries is far from exhaustive—for example, we only list nine of the 50,000 Nigerians killed on behalf of Shell and other industrial interests in the country; we list none from China or India. Still, we feel that it is important to remember the names and stories of some who have lost their lives while reaching for the common goal of ecological justice and wild liberty, recognizing that they represent the countless unnamed victims and martyrs. We also honor the people who have influenced and inspired our movement who’ve returned to the Earth through various circumstances. Some that we have lost to the struggle or that have returned to the Earth include: David “Gypsy” Chain, Vikki Moore, Barry Horne, Jo, Beth “Horehound” O’Brien, Raven, Robert “Naya” Bryan, Standing Deer Wilson, John Zaelit, Bill Turk, Tom Worby, Karl Von Notten, Carol Kratz, Tim Lengerich, Matthew Haun, Bugis, Sequoia, Greg Shin Do Bechle, Tony Merten, Carlo Giuliani, Isa Bryant, Mike Hill, Jill Phipps, Jessiah, $eth, Huang Hai Lee, Rachel Corrie, MaVynee Betsch, Kirsten Brydum, Sali Eiler, Tom Hurndall, Andy Harrop, Sicknote, Sera, Fester, Poet, Captain, Lil’ Mikey… May all your spirits live on, forever wild. Below are some obituaries for fallen warriors which have been contributed by family, friends and fellow Earth First!ers. If you know someone who should be added, or want to write an obituary for any of the above-named individuals, please get in touch. Ola Cassadore Davis, elder of the San Carlos Apache Tribe, passed away at age 89, November, 25 2012. Since Spring 1991 Davis fought to protect Mount Graham from multimillion-dollar telescopes in Arizona. She was the great-granddaughter of an Apache chief. Read more of her story here. Larry Gibson, long-time environmental activist, died of a heart attack at age 66, September 9 2012, while working on Kayford Mountain, the family home in Raleigh County which he spent the last decades of his life protecting from the coal mining practice known as mountaintop removal. Read the full EF! Newswire post about Gibson here. See video interview here. 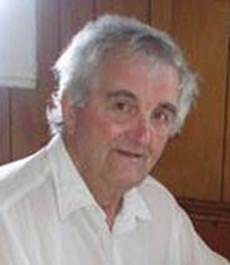 David Orten, David’s death occurred on the morning of Thursday, May 12th, 2011 at his home in Watervale, Pictou County. David was born in Portsmouth, England on January 6th, 1934. He lived in Canada since 1957. David was an activist and deep green philosopher, who dedicated his life to developing the theory of Left Biocentrism within the Deep Ecology movement. He was uncompromising in his fight for the Earth and set a high standard for others to follow. David believed in living simply, where the richness of human life was defined not in material values, but within a deeper spiritual relationship with the Earth. Craig was a former editor of the Earth First! Journal, and a dedicated EF! activist. His passion for life took him high into the canopies of nature’s grandest and most spectacular forests. He fell to his death while doing contract work for the US Forest Service. Several beautiful obituaries were written around the time of his death. They can be found below. The following is an excerpt from an article written in 2006, following the killing of Earth First! activist Brad Will. This version was published in Volume I of the Earth First! Journal’s 30th Anniversary edition. This year I’m calling the Dead. So I’ve been thinking a lot about death, and singing the song we will use to sing the Dead over into a place of renewal. Just before bed, I check my email, and I learn that a young man has died, shot to death in Oaxaca where he has gone to cover the teachers’ strike and the people’s insurrection for Indymedia. His name is Brad Will. I stare at his picture, trying to remember if I know him from all the demonstrations and mobilizations and meetings we have undoubtedly been at together. I didn’t know him well, but I know so many like him…. Filing stories at midnight on electronic networks set up by young geniuses with duct tape and component parts in dusty, Third World towns, eating cold pasta out of old yogurt tops and sleeping on floors. Hitching rides into war zones and crossing borders. And now another one of the tribe is dead, shot down in Oaxaca where a five-month teachers’ strike became a full-blown insurrection, the kind that radicals dream of, with streets full of barricades and ordinary people rising up against a rigged election and a corrupt, dictatorial governor…. Brad Will was there, with camera and computer, to be a set of eyes. We Pagans have no dogma, no official Book of the Dead to outline the soul’s journey. If we share any belief in common, it is simply this: that death is part of a cycle that includes re- generation and renewal. That just as the falling leaves decay to fertilize the roots of trees, each death feeds some rebirth. Death transforms us. The tribe of world-changers has its list of martyrs and the much longer list of names in some other language—Spanish, indigenous, Arabic and so many others—who die every day. We Pagans don’t like to glorify martyrs, but we know that “sacrifice” means “to make sacred.” In an instant, that ordinary comrade you remember singing at the fire or arguing at the meeting, someone you might have been charmed or irritated by or attracted to, or not, someone who showed no mark of doom or prescience of what was to come, becomes uplifted into another realm part symbol, part victim, locus of our deepest love and rage. Yet we, the living, have some choice in how we respond to death, and what transformation we undergo… Grief can open the heart to courage and compassion; rage can move us to action. Out of loss comes regeneration: a terrible beauty is born. A death like Brad’s calls us all to deeper levels of courage, to be eyes that refuse to shut in the face of oppression, voices that sing out for justice, hands that build a transformed world. The following is from an interview with Joan Norman printed in Z Magazine, June 2005; reprinted in the Earth First! Journal, Beltane, May-June 2005. Norman was killed shortly after, on July 23, in a head-on car crash on Highway 99 near Cave Junction. She had spent her last months defending the Siskiyou National Forest from the Biscuit logging operations. She was arrested more than 100 times in her life for standing up against injustice. She protested for equal rights in the South in the 1960s and joined the Vietnam War protests. 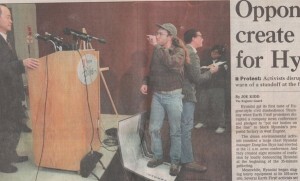 She stood up against nuclear testing in Nevada, the School of the Americas in Georgia and the World Trade Organization in 1999. “I am not afraid. I am 75 years old. Do you know what this culture has in store for me, an old woman? They will wait for me to be sick at the end of my life and then strap me to feeding tubes, pump deadly drugs into me, put me on a machine to make my lungs go up and down and wait for me to die. I am not bound to go out that way. No, I would rather go out in a blaze, defending the world I love. I will be on the front- lines someday, and my soul will know the time to go, and I will just leave. I will make that decision. Knowing this, I am not afraid. I am more afraid that my grandchildren will think I did not try hard enough to leave them a legacy of peace and a world worth living in. “Last Monday, they came and removed me from the bridge I was blocking by carrying me in my chair to the edge of the sheriff’s vehicle. They put me down there and thought I would stay put. Then the officers went off to arrest someone else. I got up and moved my chair back to my space, my sovereign space. An officer yelled, “Hey, you are not supposed to do that! Get back over where I put you.” I just laughed. People have been trying to get me to be where they put me all my life. I have a right to stand up against evil, and I will. “This fight to save the forests came to me through my grandson. I was not much of an outdoors person. I had never had a chance to live near and explore a truly wild place. My grandson lived on the edge of a forest. He spent from early in the morning to nightfall exploring it. Mark Blecher has been praised for his contribution to the conservation cause in the South East Forests over many difficult years, as a local stalwart of the Towamba Valley Catchment Protection Association, a regional representative of the South East Forest Alliance, and sometime president of the South East Conservation Council. It is less well known that he was also one of a number of Towamba Valley local residents who participated in the early actions in defense of the South East Forests of New South Wales in 1989. Mark was the designer of a particularly ingenious device: a cylindrical locking steel canister with five openings at the top, used to block gates in the Coolangubra forest. Police had to toil with crowbars and mattocks to dig the contraptions out. Ian Cohen mentions these in his book Green Fire, noting that they were nicknamed “Wog Wogs” (after a local landmark). But we did have another name for them before this—Blecher Devices. Mark, however, was a little uncomfortable with this name given the profile he had in the broader community. Neither of these names stuck, however, and today a device such as this might be referred to as a sleeping dragon. Mark also made durable platforms that served us well in Coolangubra. as well as Wog Way where they supported relays of sitters for thirteen months. Mark was good-natured and level headed. In standing up to ranks of duplicitous politicians and bureaucrats, despite set backs at every turn, his perseverance always testified to his dedication and positive disposition. Sadly, Mark lost his long battle with leukemia in March 2010. He is remembered with love by his family, friends and fellow campaigners. Colin Gibson was blockader and tree sitter in Australia during the ’80s at the Franklin, Daintree and South East Forests. Julia Belle Thompson Bonds, executive director of Coal River Mountain Watch, passed from this life January 3, 2011. She was born August 27, 1952, in Birch Hollow of Packsville, West Virginia, one of many communities to be eliminated by Massey Energy’s malignant coal operations in Appalachia. Known as Judy to her friends, she joined Coal River Mountain Watch to fight the mountaintop removal and sludge dams threatening her family and community. 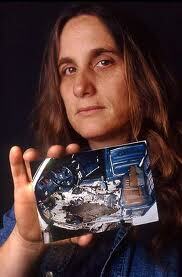 In 2003, she won the Goldman Environmental Prize. With Earth First! Appalachian allies, Coal River Mountain Watch, and others, she created the Mountain Justice movement. In 2005, Judy was one of the first two people in decades to be arrested protesting Appalachian strip mining operations. 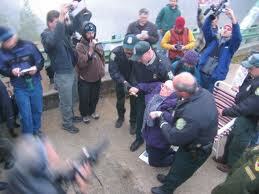 In 2009, she was arrested again protesting Massey Energy’s mountaintop removal and coal processing operations beside Marsh Fork Elementary School, at a rally where she was violently attacked by a Massey supporter. Judy has appeared in several documentaries, such as Black Diamonds, Mountain Top Removal, Burning the Future, Coal Country, and On Coal River; books such as Coal River, Plundering Appalachia, Crimes against Nature, Mountain Justice and Something’sRising; and numerous magazines including People, Newsweek, Vanity Fair, Utne Reader, and O. In 2009, Utne Reader named her one of “50 Visionaries Who Are Changing Your World,” along with such influential people as the Dalai Lama. The story of her passing was covered across the country, from the Washington Post to the Los Angeles Times. During Judy’s funeral, activist Reverend Jim Lewis quoted Frederick Douglas: “If there is no struggle there is no progress. Those who profess to favor freedom, and yet depreciate agitation, are men who want crops without plowing up the ground. They want rain without thunder and lightning. They want the ocean without the awful roar of its many waters… Power concedes nothing without demand.” Judy had a short version of this quote displayed in her home, and she constantly made that demand. She never compromised in defense of Mother Earth. Videos, photos, and written accounts of Judy’s inspirational life can be viewed at www.JudyBondsMemorial.com or www.crmw.net. Vernon Haltom is a friend of Judy Bonds and the current executive director of Coal River Mountain Watch. Legendary American Folksinger and Backcountry Traveler James “Walkin’ Jim” Stoltz passed September 3, 2010, in Helena, Montana. Stoltz, a veteran performer for 35 years, earned his nickname “Walkin’ Jim,” by hiking more than 27,000 miles through wild country in North America. Packing a guitar and penning extraordinary lyrics along the trails, Walkin’ Jim’s songs voiced enormous respect and appreciation for the Earth, its wild places, and the wild critters that he carefully studied and truly adored. Walkin’ Jim Stoltz was a co-author and dedicated proponent of the Northern Rockies Ecosystem Protection Act (NREPA) the “wildest bill on Capitol Hill,” which, when enacted, will designate 24 million acres of our roadless public wildlands legacy in Montana, Idaho, northwestern Wyoming, eastern Washington, and eastern Oregon as Wilderness. Stoltz had a successful kidney transplant, donated by John Giacalone, on March 16, 2004. In the fall of 2007, Walkin’ Jim learned that he had cancer in his tonsil chords and lymph nodes of his neck. Jim underwent surgery, followed by chemotherapy and radiation treatments. The winter of 2007-2008 was a tough one, as expenses piled up and medical bills consumed most of Jim’s financial resources. In the summer of 2008, Walkin’ Jim underwent his own prescribed “Wilderness Therapy” and walked 460 miles through the mountains of Idaho and Montana. In 2009, Jim walked an incredible 500-mile loop through the remote mountain ranges of eastern Nevada. In 2009 and early 2010, Walkin” Jim toured unwaveringly with his “Forever Wild” show (named after the song he wrote, which Peg Millett made famous around Earth First! campfires), combining live music, story-telling, and poetry with stunning slideshows to create a stirring celebration of the natural world. Ellen Peterson, 87, of Estero, Florida passed away on October 14th, 2011. She was a supporter of Earth First!, lending us spiritual support as well as the use of her land for our camps and roadshows. She was fierce advocate for wilderness… For her full obituary from the EF! Newswire, click here. Larry Bloch, 59, who built the Wetlands Preserve in TriBeCa into an influential rock club and a hub of environmental activism, died last week at his home in Brattleboro, VT on Oct 28. See his obit on the EF! Newswire here. Francisco “Chico” Mendes, 1988, Brazilian ecologist and environmental activist who worked in defense of the Amazon rain forests, shot to death near his home in Xapuri. Leroy Jackson, October 1993, Diné (Navajo) activist engaged in campaigns to end logging in the ponderosa pine forests of the Chuska Mountains, found mur- dered by poison atop the Brazos Cliffs near Chama, New Mexico. The Ogoni Nine, November 1995, Ken Saro-Wiwa, Saturday Dobee, Nordu Eawo, Daniel Gbooko, Paul Levera, Felix Nuate, Baribor Bera, Barinem Kio- bel and John Kpuine; hanged by the military dictatorship of Nigeria for struggling against the destruction of Ogoni land by the Shell oil company. Carlos Roberto Flores, June 2001, Honduran environmental activist, shot to death by guards of hydroelectric company Energisa, which was building a dam in the Sierra de Agalta National Park. Bartolomeu Morais da Silva, July 2002, Brazilian farmer who led the struggle against illegal logging, land fraud and destructive large-scale infrastructure projects; found with his legs broken, shot to death. Carlos Arturo Reyes, July 2003, Honduran anti-logging activist shot after Amnesty International found a death list with his name on it. 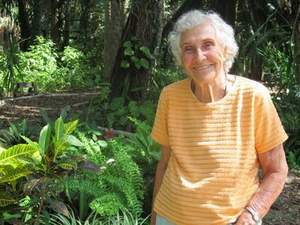 Dorothy Mae Stang, February 2005, US-born activist, environmentalist and nun, murdered in the city of Anapu in the Amazon Basin of Brazil. She had a 30-year history of organizing in the region, receiving numerous death threats from loggers and large landowners. Valmir Mota de Oliveira, October 2007, Shot and killed during a protest at a Syngenta farm in the southern Brazilian state of Parana. According to the Landless Rural Workers’ Movement (MST), the farm illegally produced genetically modified crops within a protected environmental zone close to the internationally acclaimed Iguacu water falls. Stanislav Markelov, Anastasia Baburova January 2009, Markelov was a lawyer for environmental, anti-fascist, labor and Chechen activists. 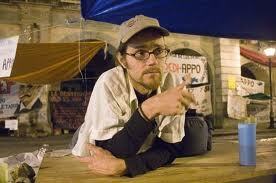 He and Baburova, an activist and journalist, were assassinated in Moscow by a neo-Nazi affiliate. Eliezer “Boy” Billanes, March 2009, Filipino anti-mining environmentalist in the Mindanao region shot dead confronting the multinational mining corporation Xstrata. Others who were killed recently for the anti-mining cause in the Phillipines include Fernando Sarmiento, Armin Marin, Ricardo Ganad, Gensun Agustin and Samson Rivera. Ramiro Rivera, Dora Alicia Recinos Sorto, December 2009, Members of the Cabanas Environment Committee, organiz- ing against mining by Pacific Rim corporation in El Salvador. Ri-vera was shot dead while under 24-hour police surveillance. Prior to his murder he survived being shot eight times in the month of August. Recinos Sorto was pregnant at the time of her murder. Desidario Camangyan, June 2010, Anti-logging activist, journalist and radio host in the Philippine province of Davao Oriental, gunned down while hosting an amateur singing contest. His wife and child were in the audience. ho hum really Ron, Your now on the list. You are a pathetic example of a creature of Nature if that is your reply. You need Nature to exist. Nature needs you for absolutely nothing. I am one of many defenders of Nature now Ronny you have been warned stay out of our way or you will meet us. You wont like it nor will your family. This is not a threat but a warning of impending danger. Why would you leave such a cruel comment? I SHED TEARS EXCLUSIVELY FOR THOSE WHO LIVE AND DIE FOR WHAT IS VITAL THE EARTH AND IT’S INNOCENT CREATURES. YOU ALL WILL NEVER BE FORGOTTEN FOR YOU WILL LIVE FOREVER IN OUR HEARTS. PEOPLE CAUSE ALL THE PROBLEMS. STOP MAKING PEOPLE SOLVE ALL THE PROBLEMS. SUPPORT – “EARTH TRIBE” – “IDLE NO MORE.” IT’S IN YOUR BEST FUTURE INTEREST. THESE ARE NOT JUST NATIVE INDIAN ISSUES THEY ARE FIGHTING FOR THE FUTURE OF HUMANITY AND THE EARTH.